Alert officers chase down suspected truck thief in Evesham Twp., N.J.
EVESHAM TWP., N.J. (WPVI) -- A Philadelphia man has been charged with theft, eluding police and other offenses in connection the theft of a pickup truck in Evesham Township. The Ford F-350 pickup truck was reported stolen at 3:45 a.m. Saturday from outside a home in the 300 block of Shady Lane. While responding to the call, an alert officer saw the truck on Route 70 near Elmwood Road and called for backup. It ended on Evesboro Medford Road after the driver hit a curb, jumped out and tried to flee on foot. Officers caught up with him a short distance later. 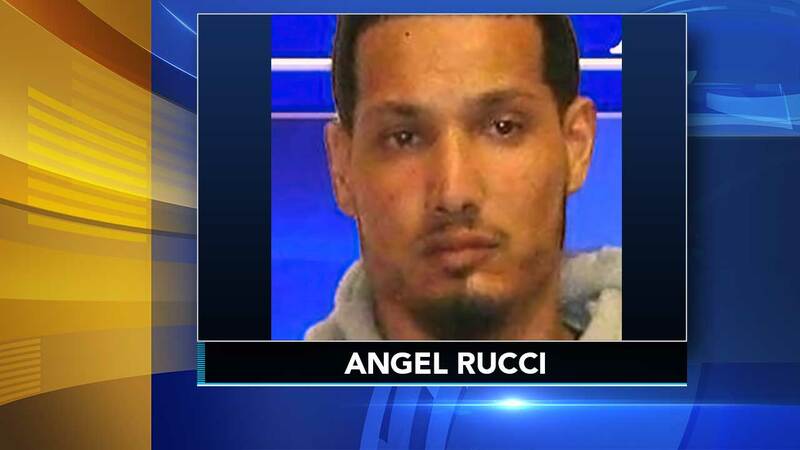 25-year-old Angel Rucci of Philadelphia was arrested and charged with 3rd degree Theft of Vehicle, 2nd degree Eluding, 3rd degree Possession of Burglary Tools, and 4th degree Resisting Arrest. He was later released on his own recognizance.